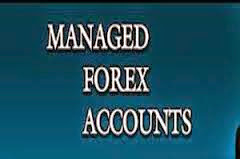 Lot of people have asked me that they are seeking Forex managed Account service in Dubai and UAE. Lot of people in Dubai are now trending toward Forex/online trading because of its volatility for their investments and profit margins. In last 2 weeks, i got lot of inquiries from Dubai individuals who want to invest hugely in online trading but they don;t have time or either they are not well practical to do it themselves. Managed Forex Accounts are fully segregated accounts individually owned by each investor at a brokerage firm, but managed (traded) by a professional trader or money manager on their behalf. Clients retain full control over their accounts at all time, as their money managers are granted “trade only” access to the accounts. It is a very unique and well structured model. Most of the Forex managers work full time and do trading each day for clients depending on your negotiation with him. A professional is managing your account and your cash. This ensures higher safety for your investments. With an expert handling your account, you have the chance of maximizing your profit potential. You can diversify your capital such that you do not have high exposure to any one risk. Although Forex managed accounts involve high risk, they also generate high returns. You can make use of trading opportunities in both the rising and falling Forex markets. You can enjoy extremely high liquidity, which means you can liquidate your assets and withdraw money whenever you want. You do not have to worry about missing out on any substantive profit-making opportunity even while sleeping. You can receive a custom-made technical analysis report. You can have much higher leverage while trading. At the same time, you need to make sure, if you are selecting authenticated and trusty Forex managers in Dubai. As there are so many scams and frauds going on in Fx managed accounts handled in Dubai, please have a close eye , if your selection is reputable and trustworthy. Recently, Around 200 Dubai investors lost their money with MMA Forex so this is just one example of scam companies out there. If you seeking any further information regarding Forex Managed accounts in Dubai, you may contact me through contact form.